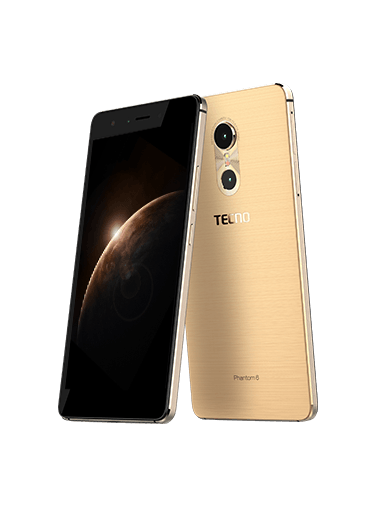 TECNO Flagship Smartphones, which comes under their brand 'Phantom Series', has been used to represent the peak of their invention each year. Techno Phantom 6 was released September 2016, and has being making waves since. Phantom 6 has no equal among all other Phones made by the company. The phone features a 5.5 inch display , 3GB of RAM , 13MP rear camera, with a 2700mAh battery. There are general improvements in Phantom compare to the lasy year model. These improvement include Design Overhaul , New Operating System , New user interface (HiOs) , More RAM , Better Battery , Fingerprint Reader , Iris scanner. Features like MS,MMS, Email,Push mail, IM, HTML5 Browser are intact. Tecno Phantom 6 price in Nigeria ranges between NGN110,000 to NGN140,000.